For the SS17 collection, Diesel has come up with a campaign that we can only support from the bottom of our hearts. A campaign, that we are happily a part of. 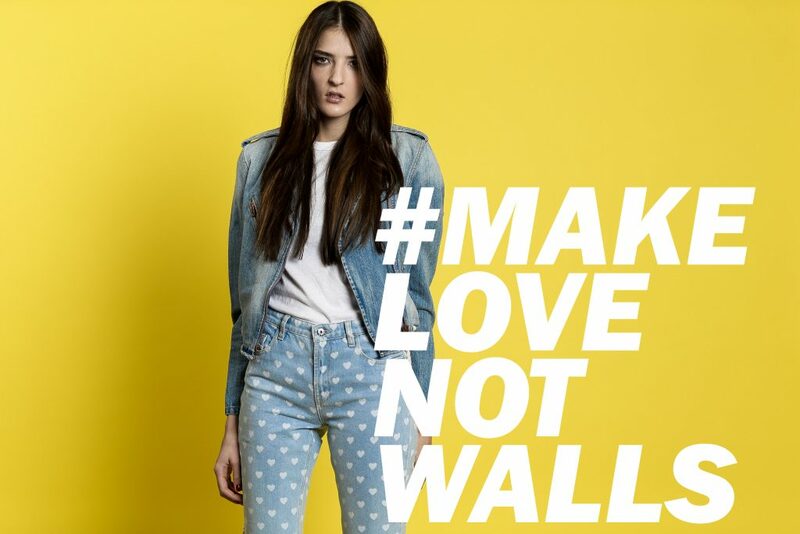 #MakeLoveNotWalls is more than a campaign, it is a vision and a message to the world that we, all the ones that are included in this campaign stand for a modern, open and loving world and stand up against the hate and bigotry that is going on around the world at the moment. This year, the Fashion Industry showed a lot of support to minorities and stood up for a modern and hate-free word. Since 2016 has been a year of radical changes it is important for us to stand up. To stand up for our believes, stand up against hatred and bigotry and to use our voice and influence for something important. And by us I am talking about the whole industry, an industry that is often described as being “far away from the real problems” and “superficial and pretentious”. So many brands, influencer and people involved in the industry have openly showed their support for a modern and open world and proofed the power and strength the Fashion Industry has. For us, it is has never been a question to focus on race, gender or sexual preference when we chose the people that are close to us and surround us in our lives. And with shock we see what is happening, that people are closing themselves up and fearing each other. We always believed, that hate is not a way to connect (or disconnect) with people. As dreamy as it might sound, we have always liked harmony around us and have been open to whomever we met and were excited to hear the stories of their live and exchange ideas and visions with each other. The campaign video of make love not walls features Sergei Polunin, the ukrainian ballet dancer who got famous through the dance video Hozier’s “Take me to church”. More than that, icons like transsexual model Laith de la Cruz; androgynous queer artist Karis Wilde; 2016 parallel and horizontal bar Olympic silver medalist Danell Leyva; makeup artist/drag star Raja; and transgender model Octavia Hamlett star in the campaign video. #MakeLoveNotWalls is a beautiful message to tare down our walls and to open up to the people around us and to give everyone a chance as an individual with a heart and a soul.